NZHPT Regional Archaeologist, Dr Matt Schmidt is giving a public talk on ‘Project Nord’, the history of the Norwegian Whalers' Base located at Price’s Inlet, Rakiura/Stewart Island on Sunday evening 10 March 2013 at the Rakiura/Stewart Island Community Centre. The touring ‘Canterbury Quakes’ exhibition is on at the Otago Museum until 5 May 2013. Focusing on the physical forces and human stories of courage and tenacity, Canterbury Quakes first opened at Canterbury Museum. The exhibition features former Christchurch iconic symbols such as the Lyttelton timeball and the rose window from the Christ Church Cathedral. A weekend workshop to introduce the basics of Central Otago stonework restoration is being held on the weekend of 23 and 24 March. Based at Butler's Farm (Category 1) at Fruitlands, near Alexandra, the course is open to a maximum of 20 people. A course fee of $150 applies. This event is organised by the newly formed Historic Places Central Otago. For further details and bookings contact: Nick Taylor (021) 428 392 or email: taylorncb@hotmail.com. Agriculture, history and incredible inventions from the Hawke’s Bay, Tararua and Wairarapa regions are showcased in all their cinematic glory this month, as the New Zealand Film Archive and the NZHPT partner to present a programme of films that spans the 20th century. The films will be screened in five NZHPT registered heritage woolsheds. Local history will come to life again in the historic woolsheds, through a selection of films from the Film Archive vaults. The 75 minute programme pays tribute to the rich and diverse heritage of the region, encompassing farming history, shearing gangs, kiwi inventions dating back to 1913, and some of the unique rituals of country life. Entrance to all screenings (except opening night) $5, door sales only. Pre-film drinks from 6.30pm, film screening 7.30pm, followed by supper organised by the Maraekakaho community. Enjoy inspiring theatre from iceberg-sized epic The Man the Sea Saw, to the intimate and multi-sensory The Man Who Planted Trees. Award-winning instrumentalist Adam Page will take you on an entertaining whirlwind of a day in Like It Or Loop It, or be wowed by New Zealand Symphony Orchestra and Capital E National Theatre for Children’s epic collaboration Sky Dancer. With all this and more, there has never been a better way to get your family fix of theatre, music, dance, and circus from the best of local and international talent. More details: www.capitale.org.nz. Futuna Chapel will be open to the public on Sunday 17 March (1-4.30pm) with displays of original drawings, presentations on recent restoration works and talks. Talks will be given by well known NZ artist Michael Smither, and artist and architect Ron Sang about the role and impact of art in New Zealand architecture. These talks will focus on art in architecture in New Zealand and will explore the inter relationships of the artist and their work and the architect and their work in the integration of commissioned art works into public building and spaces. memories. Entry $10 – Supper is a gold coin donation. Seats are limited, so please phone Joyce on (04) 546 8135, or Colleen on (04) 564 4023 to reserve. Saturday 16 March. Wanganui has a rich heritage of stained glass as well as many talented glass makers. This guided tour is an opportunity to explore some of the best the city has to offer. Tour highlights will include St Mary’s Catholic Church and the Wanganui District Council Chambers. Trip price $30. Book by 11 March through: Pat & Cushla Scrivens, phone (06) 359 1308 or email scrivens@ihug.co.nz. Saturday 2 March. This fundraiser for the Bulls Museum starts at 4pm and includes a tour of the house, live music and a roving magician. Tickets are $25 per person, available from the Bulls Museum, 81 High Street, Bulls. For more information email bulls.museum@gmail.com. Don’t miss the Te Waimate Fete on 24 March (2pm- 6pm-ish) featuring live music from Joanne Murray and her band, plus local foods and wines. Highwic will host its Art Deco Day Out on 7 April (1-6pm), featuring live jazz, spot prize, special exhibitions and vintage cars recalling the golden days of the 1920s – the height of the Art Deco movement. Refreshments will also be available for sale on-site. Jazz artists performing on the day will include the Leprechauns and the St Stephen’s College Jazz Band, both of whom featured in last year’s Deco Day, and who are back by popular demand. In Concert at Alberton – an orchestral concert that will include the premier of an original composition – will take place at the Mt Albert mansion on March 10. The original piece is entitled ‘Alberton Grandeur’ and will be performed by the Aotea Youth Symphony. The composition was written by the orchestra’s music director Paul Harrop to mark the 150th anniversary of Alberton being built. “It’s pretty rare for people to be able to enjoy the premier of a new orchestral work – and even more so when it’s tied in to a specific historic event like Alberton’s 150th celebrations, so this is definitely a must-enjoy for Auckland music lovers,” says the Manager of Alberton, Rendell McIntosh. The Symphony has toured Japan, the United States, Germany, China and Australia, and funds raised at the Alberton concert will go towards the orchestra’s trip to Tahiti in April. Admission: $20 per adult; children up to 15 free. Refreshments available for purchase. Bookings essential – paul@harrops.co.nz. Hard yakka getting you down? No worries! She’ll be right, simply jump on the NZHPT online shop and pick yourself up a tin of goodness to soothe away any aches or pains, quell irritating insect bites, and heal scrapes or grazes. Our revamped online shop has a new line of products from Millstream Gardens who have mixed a blend of therapeutic natural herbs and oils and packaged them into a quintessentially kiwi-style tin. For the little ones, there’s “Sweet As” Baby’s Bottom Balm, “No Worries” Soothing Balm for itches, burns and rashes, She’ll Be Right” Herbal Repair Kit, a natural antiseptic, and “Bugger Off!” Natural Insect Repellant to keep those pesky mozzies at bay. 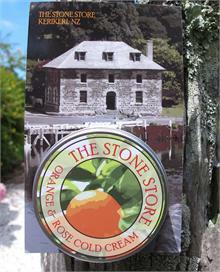 Millstream Gardens are so neat they’ve even created a product named after one of our beloved properties – The Stone Store Orange & Rose Cold Cream. This divine cream is a blast from the past with a sweet new twist. For these and other delightful products, click here to visit the shop today. Former Chairperson of the New Zealand Historic Places Trust Board Dame Anne Salmond has been named New Zealander of the Year. The University of Auckland Maori Studies professor was awarded the title in Auckland last night for her services in Maori and Pacific studies. Dame Anne was Chairperson of the NZHPT Board from 2001 to 2007. The award honours the achievements and contributions of a New Zealander who has made a major contribution to the nation, given outstanding service to the country, and provided inspiration to New Zealanders. Now Distinguished Professor in Maori Studies and Anthropology at the University of Auckland, she is the author of seven award-winning books and many articles on Maori life and early contacts between Europeans and islanders in Polynesia. She is a Foreign Associate of the National Academy of Sciences; a Corresponding Fellow of the British Academy; a Fellow of the Royal Society of New Zealand; and a Dame Commander of the British Empire. She is also a keen environmentalist and heritage advocate. The award's patron, former Prime Minister Jim Bolger, paid tribute to Dame Anne. "Dame Anne Salmond is an exceptional New Zealander who is committed to understanding our cultural heritage and to protecting our environment for generations to come. She is a deserving recipient and a passionate and articulate Kiwi with a strong vision for our nation's future." The Kaipara North Head Lighthouse – one of the few remaining kauri lighthouses in the country – has undergone some much-needed restoration work. To protect the timber exterior against the extreme coastal conditions, contractors recently painted the lighthouse using the most durable coating system available. Repairs to damaged timber were also carried out, and new stainless steel flashings installed along with replacement door and window hardware where needed. Work on the roof of the lighthouse was also carried out, making it waterproof. Work on the lighthouse, which is cared for by the NZHPT, was carried out by local contractor Jim Rowlands with his team of Adam Stevens, Peter Risbridge and painter Leon Weber. “The completed work should provide the lighthouse with many years of protection,” says NZHPT Project Manager, Blair Hastings. Photo: Kaipara North Head light – repaired, repainted and looking great. Absent for 12 years, the recently recovered and restored Christ figure will be returned to the currently empty cross in Futuna Chapel in Wellington, in time for the Open Day on Sunday March 17 2013. There will be a public unveiling and blessing ceremony of the reinstated figure at Futuna Chapel. The 160cm tall figure of Christ was hand-carved from mahogany by noted New Zealand sculptor Jim Allen in 1961 for the crucifix that completed the award-winning design of Futuna Chapel by architect John Scott. Recovering the statue had been a goal of the Futuna Trust since it was established in 2003 to celebrate, restore and maintain the chapel, which is regarded as one of New Zealand's modern architectural masterpieces. Jim Allen, who designed and carved the statue in 1961, expressed his delight at its rediscovery. The heritage value of an early 20th Century Devonport villa has been recognised by the NZHPT. The listing identifies the house at 14 Glen Road as being a place of historic significance reflected in its Category 2 registration. “As early as 1974 the house was highlighted as being one of 64 residences representing the character and diversity of earlier Devonport at a time when there was a growing awareness of Devonport’s heritage and an increasing movement towards the gentrification of Auckland’s older suburbs,” says the NZHPT’s Heritage Adviser Registration, Joan McKenzie. Built in around 1901-2, the villa was home to New Zealand artist and cartoonist Maurice Bramley who spent his formative years there. “Bramley moved to Australia in the mid-1920s and became a respected commercial artist and illustrator, and in 1943 his poster ‘Join Us In A Victory Job’ was published by the Department of National Service during World War II,” says Joan. A meticulous draughtsman, Bramley excelled with his pen portraits of prominent war personalities, and later took over the illustration of Horwitz Publication’s Phantom Commando series shortly after the title began in 1959. Bramley died in Australia in 1975. After changing hands several times over the years, the house was purchased by architect Jeremy Salmond and anthropologist Dr Anne Salmond in 1974, with work beginning soon afterwards. By his own account, the need to understand the house, the dimensions of timber, proportions of windows and doors, and the classical language of mouldings substantially contributed to Jeremy Salmond’s knowledge as a professional architect. 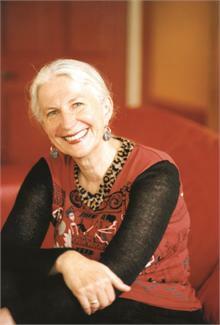 The Salmond family have lived in the house for almost 40 years, and during this time Dame Anne Salmond – a Distinguished Professor in Maori Studies at the University of Auckland – has written many of her published works, including Two Worlds: First Meetings Between Maori and Europeans 1642-1772. “Through their professional lives, writing and representation on various bodies – including the NZHPT – Jeremy and Anne Salmond have made a major contribution to the understanding of New Zealand’s cultural, historical and architectural heritage,” says Joan. The registration of the house at 14 Glen Road formally recognises the house’s aesthetic value, including the visual appeal of its external design and generous garden setting; its architectural significance, for illustrating the diversity of the colonial bay villa form; and cultural and historical significance for its strong associations with both the Salmonds and Maurice Bramley. The recent blessing of an unusual headboard has marked the end of conservation work on an important piece of Northland’s carving heritage. The wooden headboard, carved by Nutana Mapi of Northland in 1900, has been restored and repositioned in the cemetery of Waimate North’s Church of St John the Baptist. The distinctive 113-year-old headboard commemorates Paea Kahuru who is buried there, and is a distinctive feature of the cemetery. Dean Whiting, who has specialist expertise in conservation of Maori taonga and buildings with the NZHPT, has worked closely with kaumatua Eddie Court and Anthony Collins of Rawhitiroa Marae on the restoration of the headboard over the four-year period. “Conservation work began on the headboard at the end of 2008, and although the headboard has been in place for some time now, it’s great to be able to formally mark the completion of the project in this way,” says Dean, who also acknowledged Anthony’s part in the restoration work. Anthony is a great grand-nephew of Mary Tahurangi who first drew attention to the need to restore the headboard back in the 1970s. Little is known about the carver, Nutana Mapi, though he is believed to have lived between 1846 and 1904. A press report from the 1970s – quoting a grand-nephew of Mapi’s – said he had no formal training as a carver, but that the memorials he left were the result of a natural gift and an interest in carving. His work can be found in different parts of Northland, and are unique to Tai Tokerau. The style of the Te Waimate headboard is distinctive in its use of a bud form – similar to a club – finials, and foliage motifs, and includes a small fence surrounding the grave site carved in the same style as the headboard. Other headboards carved by Mapi incorporate distinctly Maori elements including eight-pointed stars, crossed taiaha and tewhatewha. Eighty-six year old Paea Hau – the namesake of Paea Kahuru – was present at the December blessing of the restored headboard along with former Chair of the NZHPT’s Northland Branch Committee, Heather Ayrton, who has taken a close interest in the Nutana Mapi headboards over the years. Heather acknowledged the work of former committee member Fen Barrett who publicly advocated for the restoration of the Nutana Mapi headboards in the 1970s. “We’ve now had the opportunity to acknowledge the cultural significance of Mapi’s work from a Maori perspective – and in particular this example of his work,” says Dean. The Butler Point Whaling Museum near Mangonui in Doubtless Bay was relaunched recently, with a new addition to the existing museum building formally opened by the Mayor of Far North District Council, Wayne Brown. The official opening involved tangata whanua, and a video link with Bill Tramposch – formerly head of the NZHPT, and now the Executive Director of the Nantucket Historical Association. The contribution of Butler Point Museum owner and director, Dr Lindo Ferguson, was acknowledged with a Fellowship Award from the Nantucket Historical Association. 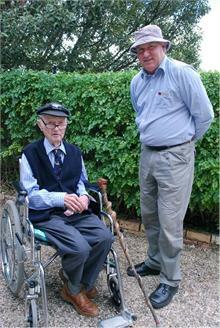 Both Dr Ferguson and his son William spoke at the ceremony. “A number of the speakers talked about the strong historic linkages between Mangonui and America in particular that were developed through the whaling industry in the 19th Century,” says the NZHPT’s Northland Manager Bill Edwards, who attended the ceremony. “Oceans were not regarded as barriers, but rather as the means by which people came together. Locals and honoured guests attended the commemoration of the third and largest signing of the Treaty of Waitangi which took place at Māngungu Mission in the Hokianga on 12 February. Mangungu Mission – the house that was the heart of the Wesleyan mission to the Hokianga, and which is today cared for by the NZHPT – once again provided the backdrop for this year’s festivities. Following a powhiri and church service, a number of kaumatua took the opportunity to talk about the Treaty signing and its impact on Maori. Other highlights of the day included salutes from three waka, including the 65-year-old waka Ngatokimatawhaorua. Ngai Tu are the kaitiaki (guardians) of this waka which is affectionately known as ‘Little Ngatoki’, differentiating it from its older and bigger brother at Waitangi. Children from Te Kura o Horeke also presented a re-enactment of the events behind the signing of the Treaty at Mangungu. The day-long event marked the largest single Treaty signing anywhere in New Zealand where at least 70 rangatira signed the Treaty, and between 2000 and 3000 Māori attended what became a giant hui. Guests at the Treaty commemorations included MP David Clendon – a descendant of James Reddy Clendon, who is buried at the Mission cemetery – along with kaumatua and kuia from the Hokianga area and further afield who were also present in force. The Māngungu Mission commemoration event was a great success according to the NZHPT’s Mita Harris who coordinated the event. “We couldn’t have had a better day for the event, and we had tremendous support from local people,” says Mita. The NZHPT worked with with the Māngungu Commemoration Committee, Nga Uri Whakatupu o Hokianga and haukainga (people of the local marae) to organise the day. A heritage project celebrating the state houses built from 1938-1945 in Palmerston North's Savage Cres was brought to fruition on 24 February with the opening of an interpretation kiosk on the corner of Park Rd and Cook St. The project was initiated and managed by Don Irvine and Margaret Tate of the former NZHPT Manawatu Branch Committee, now Historic Places Manawatu-Horowhenua, in partnership with the Palmerston North City Council. Speaking to a gathering of over 50 people at the opening of the kiosk, Historic Places Manawatu-Horowhenua chairperson, Cindy Lilburn, said the project was an exemplar for heritage planning. "Savage Cres and its neighbouring streets are the best preserved of 1930s state housing and set a standard for heritage preservation." Situated in the suburb of West End in Palmerston North, Savage Cres was planned by the first Labour Government as its housing programme's flagship model garden suburb. Construction began in 1937 and the main street, Savage Cres, was named in honour of Prime Minister Michael Joseph Savage ( 1872-1940). Its intactness remains through its architectural coherence and because it was developed as a model state housing area. Savage Cres is a listed historic area on the Palmerston North City Council District Plan. Palmerston North City Mayor, Jonno Naylor said Savage Cres was an important part of the city's history. "So many people have lived there, including two recent former Labour Government Cabinet Minister's Trevor de Cleene, and Steve Maharey." The Mayor praised the housing area for its unique features, its sense of belonging and commonality. He said it was important to work hard to preserve precinct areas such as Savage Cres and the need for today's generation to understand the reasons for its development and for its preservation. 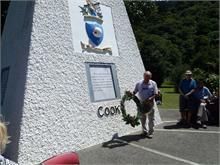 Around 90 people traced the journey of Captain James Cook in his voyage through the Marlbourough Sounds, before celebrating the centenary of the James Cook Monument at Ships Cove last month. 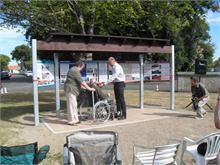 Among them was NZHPT heritage advisor Sonia Dolan and members of the Marlborough Historical Society. An estimated crowd of 2000 attended the monument's unveiling on 11 February 1913. It can still be seen on the Queen Charlotte Walkway. The reserve pre-dates the Scenery Preservation Act and was established in 1896. 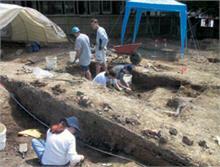 The area remains of continuing interest to historians and anthropologists. Fletcher Construction has worked with NZHPT staff on an instructional DVD for its workers aimed at increasing the level of understanding and appreciation of archaeology – particularly in areas of high archaeological sensitivity. “Fletcher Construction is often involved in projects of national significance, which have the potential to impact on archaeological features and material,” says Tony Pike, Operations Manager for Fletcher Construction. Produced by Two Feathers, the DVD forms part of the company’s site induction tool kit and features staff from Fletcher and the NZHPT’s Auckland office, as well as archaeological site images for training purposes. “By funding and producing this high-quality industry training DVD, Fletcher Construction has made a significant investment in up-skilling its front-line staff, and has also demonstrated a real appreciation for New Zealand’s archaeological heritage,” says the NZHPT’s Mid Northern Regional Archaeologist, Bev Parslow. “It’s very important that staff who are most likely to be at the front line of activity that has the potential to damage archaeological features are well informed about archaeology in general, and the requirements of the Historic Places Act,” she says. Fletcher Construction plans to launch the tool kit DVD in the next few months. After almost 40 years many of the blue plaques erected by the former Otago Regional Committee of NZHPT on significant heritage buildings across Otago and Southland are at the end of their life. Badly faded with text virtually unreadable, several of the worst Dunedin area plaques have been identified by the current Otago Branch Committee for replacement before the committee disestablishes later this year. One of the first to be replaced before June will be the plaque located on the former St Andrews Church in Carroll Street, Dunedin where in 1888 the Rev. Rutherford Waddell preached on “The Sin of Cheapness” which spelled an end to sweated labour. The building is now occupied by the Dunedin Coptic Orthodox Church who are supportive of retaining the historic link. The blue plaques are styled on the Blue Plaques Scheme established by English Heritage which sought to encourage the preservation of houses of historical interest. The first UK plaque was erected in 1867. An exciting new visitor experience awaits people at Williams House in Paihia. A series of interpretive signs located around the public space tell the story of the house and gardens, detailing different aspects of the legacy of the Williams family who have had a close connection to the property for over 150 years. The 13 interpretive panels designed by Linda Leigh of Visual Solutions explain the history of the Williams family, the house as well as features of the garden. “The panels incorporate coloured and black and white images that provide a fascinating glimpse into the vanished lifestyle and activities of the family during a simpler time in Paihia’s history,” says the Chair of the Friends of Williams House, Paihia Library Inc, Annette Roberts. The signs give insights into many of the historic flora on-site, including fig and plum trees that were planted in the mid-1800s and which still bear an impressive crop every year. The signage also highlights other built heritage features on-site including the Kissing Gate commissioned by Henry Williams’ grandson Percy Williams to keep his cattle and sheep out of his house garden. The gate system – which is an accurate reproduction of the original – gets its name from the fact that the gate isn’t latched, but rather ‘kisses’ against the posts which are arranged in such a way as to prevent animals from escaping, while allowing people to pass through. Williams House was built by Percy Williams in the 1920s, and currently operates as a public library with its surrounding garden area providing a delightful green space for visitors and locals. The Friends of Williams House, Paihia Library Inc are a volunteer group who fund their activities and projects through regular second hand book sales held on-site in the historic shed on the first and third Saturday of the month and on cruise ship visits. Donations of books in good order are always appreciated. To donate books contact secretary Anne Corbett craicor@actrix.gen.nz. Photo: L-R: Friends of Williams House Paihia Library Inc volunteers Keith Roberts, Anne Roberts (President) and Val Cadell.